Uber is, quite simply, the most valuable startup in the world. It’s worth $70 billion, and operates in 75 countries around the globe. In 8 short years, Uber has provided employment to millions, forced governments to change regulations, and disrupted the entire taxi industry. But this growth has come at a price. 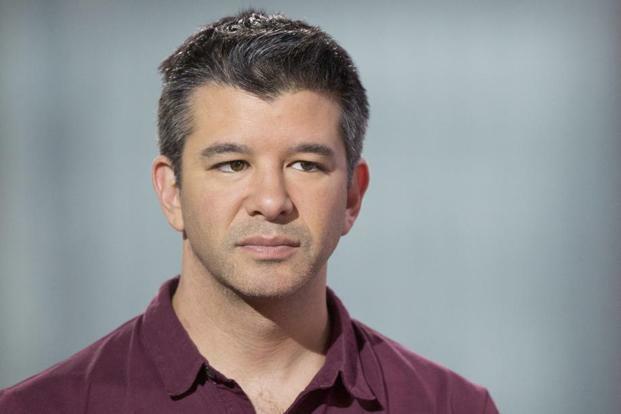 Uber has burnt through $8 billion in the eight years of its existence, the company has just revealed. That’s over 50,000 crore spent on acquiring customers, subsidizing rides and entering new markets. Rs. 50,000 crore is an extraordinary amount of money for a private company — Uber’s annual burn is more than the annual budget of the Indian space program. Uber also burns more in each year than the entire Aadhar card scheme has spent in its lifetime. While these numbers would make investors queasy, Uber’s been showing results too, even if it hasn’t been making money. Even into its 8th year, Uber’s growing very much like a startup. Its gross bookings, or the sum of all fares, rose 126% in 2016 to touch $20 billion (Rs. 130,000 crore). Uber, of course, doesn’t get to keep all of this money. A large percentage goes to the drivers, while Uber keeps a 20-30% commission. On top of that, Uber needs to pay salaries to its 6,700 employees, conduct marketing events, and even discount fares. And it’s not left with a lot once that’s done. Uber’s net losses last year were $2.8 billion (Rs. 18,200 crore). This didn’t include the losses in its China unit, which it ultimately sold to Didi in exchange for an 18% stake in the combined entity. Uber says that its losses in China alone were another $1 billion, taking its total losses for the year to $3.8 billion (Rs. 24,700 crore). Uber’s playing a high-stakes, high-rewards game. Thus far, it has the results to show for all the money it’s been spending — while it’s suffered reverses in some markets, notably Italy and Denmark, it still operates in a staggering 570 cities worldwide. Investors have been willing to fund its breakneck expansion. Even after burning through $8 billion, Uber has $7 billion of cash in the bank, and a $2.3 billion line of credit. But challenges remain — there have been questions about its work culture, and threats of competitors and regulations. Uber has shown remarkable resilience in coming out of these controversies unscathed – like a cat with 9 lives, it stumbles from disaster to disaster, always managing to land on its feet. But with mounting losses, and increasing burn rates, it’ll have to keep up its extraordinary performance for a little while longer – the slightest misstep could lead to disaster.